This started out as a gift, and ended up as a Project Linus quilt. The reverse of what usually happens. This is a free pattern from the KC Project Linus group. They have so many awesome, free, easy-to-make patterns. 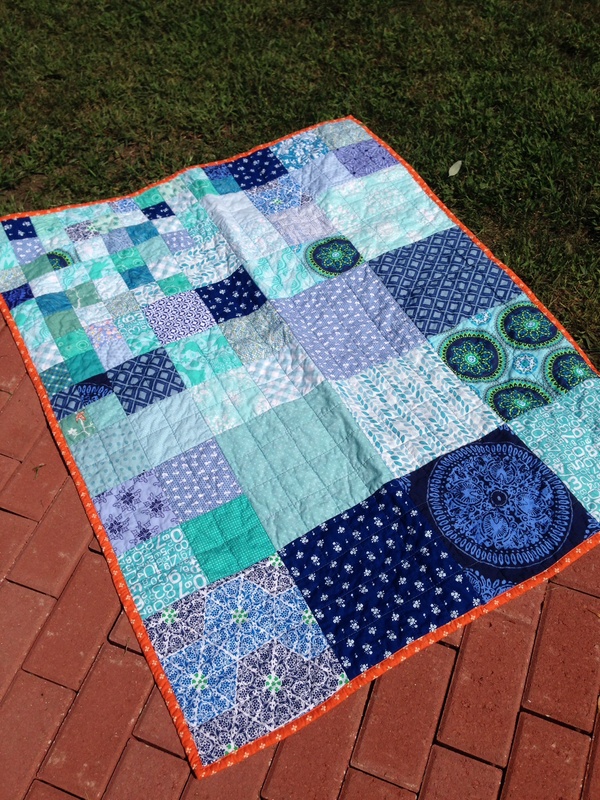 I loved working in all blues, and the design is easy and fun – biq squares trailing up to small squares. I think it would be fun to redesign this one to use precuts… I think it would be pretty easy. To keep things slightly interesting, I used bright orange binding. 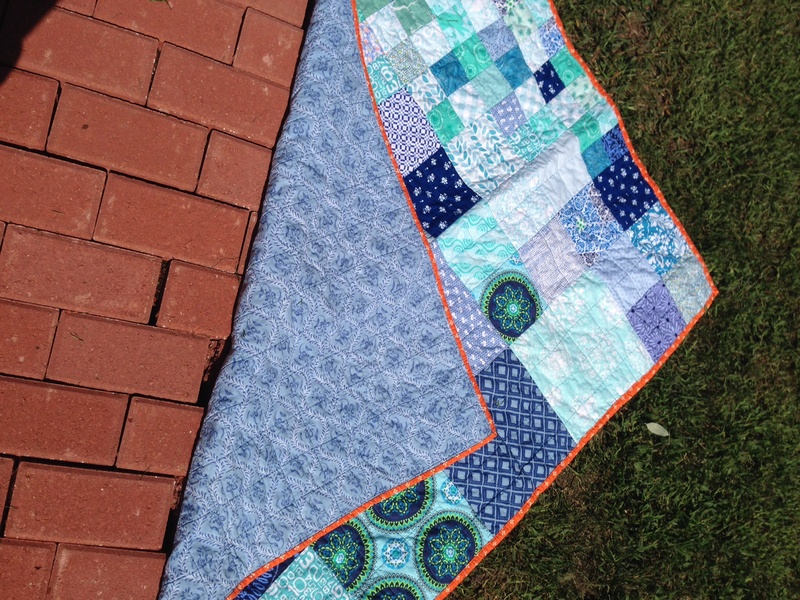 And I quilted this one in a 2.5″ grid. Simple and effective, and I think works well with the design. I used a print I had a lot of for a very long time for the backing. Not sure what the original intent was for this fabric, but I am happy, happy, happy to be able to use a lot of it up. That is the BEST feeling!